Joseph Jackson, also known as Big Joe, is 39 years old and resides in Long Beach with his wife Sheveeta and two sons Jacob (5 years old) and Jeremiah (2 months old). Joe has had a varied career between teaching and performing music alongside operating vintage steam locomotives at Knott’s Berry Farm and Disneyland. 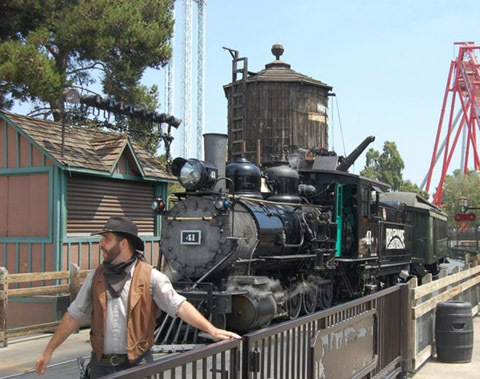 Joe began running steam trains in 1999 at Knott’s Berry Farm. While there he learned how to fire up the locomotives from a cold start as well as learn the ropes to maintaining the historic cars and locomotives. Joe also took on the role of trainer and helped train a number of firemen and engineers as well as assisted in editing training materials. After leaving Knott’s, Joe moved on to operate the streetcar at The Grove Shopping Center in Los Angeles where he became the onsite manager. 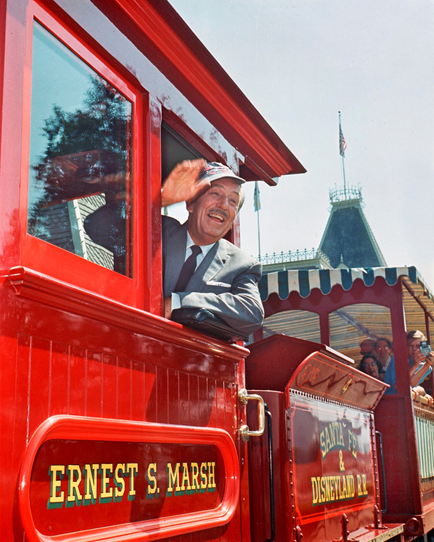 Although the trolley had flanged wheels, Joe still desired to operate steam locomotive and chase after his long-term goal to operate the steam locomotives at Disneyland. In 2004, Joe accepted a position as fireman on the Disneyland Railroad. He stayed in the left hand seat for about one year and then moved over to the engineers seat. Joe was also trained to operate the Mark Twain Steamboat and not only ran the boat during normal hours; he also operated the boat for the show Fantasmic. While at Disney, Joe continued studying steam engines and learning about their functions and history and went on to become a trainer on the Disneyland Railroad. Joe spent 14 years operating the little engines and in May of 2018 he decided to hang up his engineer hat and spend more time focusing on his other love, Music. Joe holds a BA Degree in Tuba Performance from USC and a Masters Degree in Tuba performance from Azusa Pacific University. 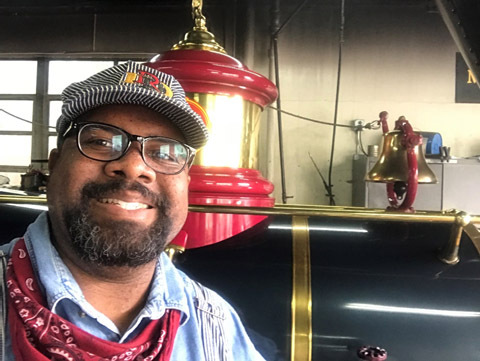 For every year of railroading, Joe was also teaching and performing music and currently teaches at Youth Orchestra L.A. (YOLA), Citrus College and The Masters University. Joe is principle Tubist with The Rio Hondo and Desert Symphonies and has performed all over Southern California. He plays on sound tracks for movies, video games, and performs with various orchestras and chamber music ensembles. He founded the Citrus Six Tuba Ensemble and has commissioned music for this group as well as 3 solo pieces for Tuba. When not playing or teaching, Joe serves as a teacher and deacon at The Crenshaw Church of Christ in Los Angeles and has worked with the Young Adult Ministry and currently serves in Music Ministry. Big Joe is also pretty serious about model railroading. He does a lot of airbrush weathering along with building models and layouts. He sits on the Board of Directors for Del Oro Pacific Large Scale Modular Railroaders and is the show coordinator for this group. A man of many hats, Joe also enjoys being outdoors and spending time with his family. His oldest son Jacob has also taken quite the liking to trains and is hopeful his little brother Jeremiah will find a passion for the old iron horse like he has. 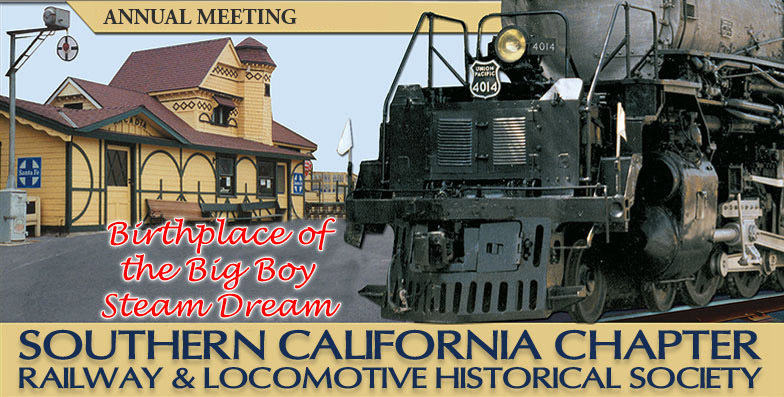 If weather permits, RailGiants Train Museum (five minute drive from Pomona Valley Mining Co.) will be open for a reception after the meeting’s conclusion. All RailGiants’ locomotives and train cars will be there! $6 Valet parking charge may apply at restaurant. Purchase tickets on-line with PayPal from your PayPal account or major credit card. Ticket sales will conclude on or about March 11, 2019, or when capacity is sold. We reserve the right to change menu and guest speaker without notice. Tickets are not returnable, cancelable, or refundable after March 11, 2019, when all ticket sales become final. We may not sell tickets at the door. Refunds of paid tickets will be made if event is cancelled. Go to our Contact Us page, and send us a message.